Cindy Lubiarz, originally from Troy, Michigan, graduated from Oakland University with honors earning a BSN. With over 15 years experience in healthcare, a published author, previous insurance broker, working within the continuum of healthcare facilities (short term acute hospitals, acute rehab hospitals, LTAC’s and skilled nursing facilities). 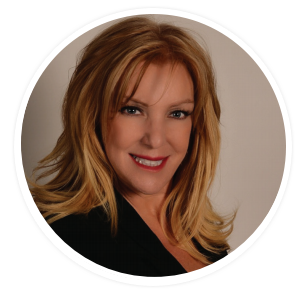 Served as a VP of Business Development with CareMeridian, specialty skilled nursing and rehab facilities within multiple states, managing sales/marketing teams, while spearheading new lines of business. Extensive business and connections both locally and nationally. Member of the AAG (Asian American Group) which supports minorities throughout the state of NV. Politically active, with a focus on supporting the needs of children in NV, from their healthcare needs to their schooling. Ensuring that children are offered a quality life and future has always remained a top priority. Previous business owner, providing international travel medicine and education for patients leaving the country. Linked with the CDC, this business reduced the patients suffering illnesses while out of the country, ultimately reducing the need for re-patriation. Skilled within all insurance and managed care contracting, negotiating, and education. Previously responsible for all provider contracting within numerous long term care hospitals. Attended many medical, insurance and sales conferences, both as an attendee and as a speaker.